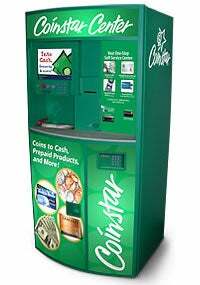 Did you know Coinstar charges a 9% fee for sorting your cash if you're not redeeming it for a gift card? Well, if you've got a huge sense of entitlement, here's a way to bypass the 9% fee. All you have to do is put in your money and select an iTunes gift card. Then, when it asks you how much you want in cash and how much in the card, put it all in the card. After that, unplug the machine from the phone line, and long story short, it will give you a voucher with all of your money intact (no 9% fee) which you can redeem. If you feel like somehow Coinstar owes you something—one fell over and killed your brother, perhaps—here's a way to screw them over.